I think also I was not able to set up well. "failed to check PHP installation: error while executing diagnostic script"
What do you want to debug - script or a page on web-server? Hi qant to debug my php code in my localhost. You are ready to debugging. 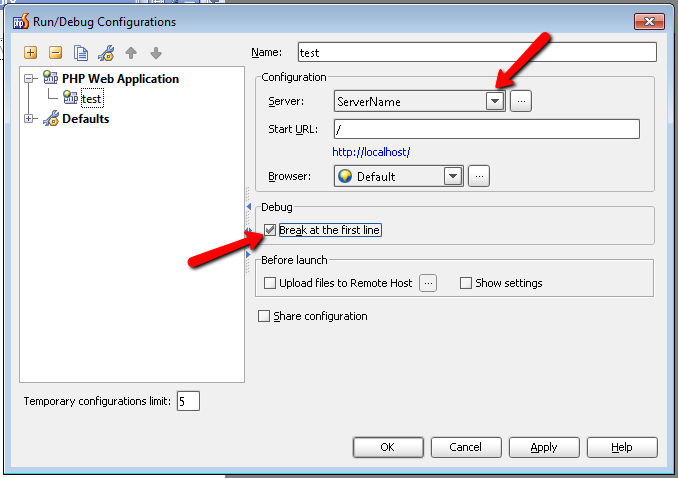 Enable "break at the first line" option first time. Please try it and report here about results. different are the system of the settings. So i tried to configure but without success. and mypassword valid for MAMP. The problem is that you select wrong servers. 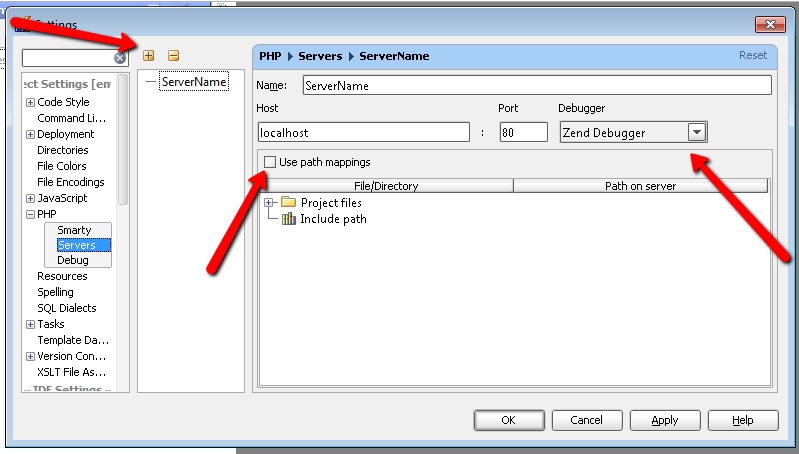 You should setup server in PHP -> Servers. The point is that there'isnt any voice of that type in PHP menu. For that reason I looked in other parts of the menu. 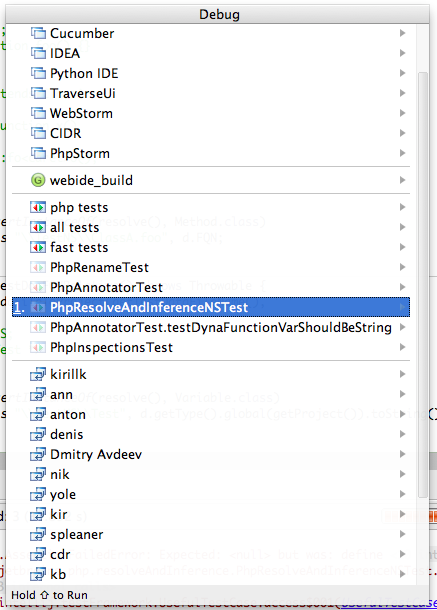 Which PhpStorm version do you use? Must be v1. Guido, what version of PHPStorm you running? 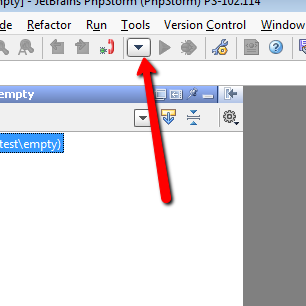 You can check by selecting "About PHPStorm" from the PHPStorm menu (right next to the apple icon). I gotta a feeling you running version 1? I'm using the trial version. 1.0.2. Ok. Under the "Run" menu. Select "Edit Configuration...". If memory serves me right, that's the easy way to set it up. I would advise to install latest EAP build, as v2 is stable and should be released soon (well, was scheduled to the end of January) -- in this case you would not need to "learn" it again as PHP debugging (configuration part) is quite different and more advanced compared to v1. And you can follow Nikolay's post to set PHP debugging up. I did what you suggested..
Also, run phpinfo() and see exactly where your php is located. You are probably pointing to the wrong location. I'm running Zend Server, so I can't help there. 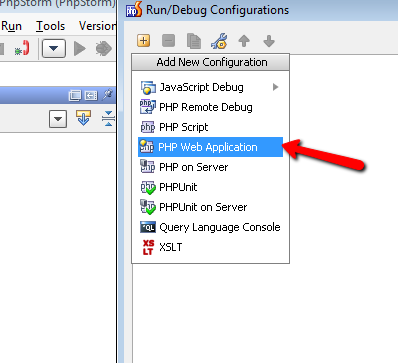 Do you still have any troubles with setting up debugger in PhpStorm? I do. 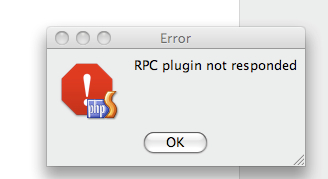 Why does PHPStorm insist on using Firefox? Doesn't matter which browser I have as system default, it still uses Firefox. My second thought, is why does it require me to shutdown Firefox before debugging? Never met this issue. Please describe your settings and use cases. My second thought, is why does it require me to shutdown Firefox before debugging? It shouldn't require that. Please descibe use case. Ok I have Safari set as default. (I don't work on public websites. Everything I do is internal, therefore we have control of what our users run. We use Safari cause of it's HTML 5 features (Opera is allowed too). Another issue.. look at the attached image. 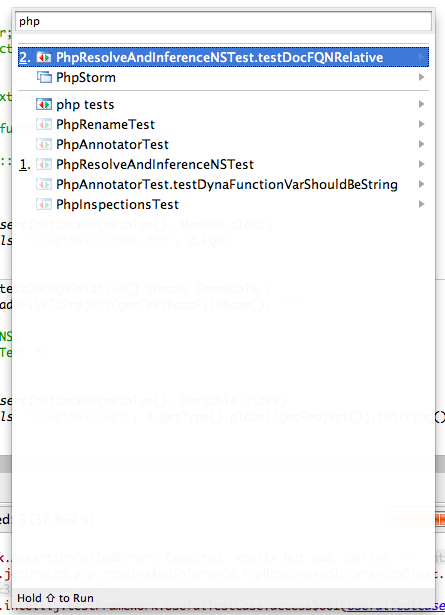 Why when I want to debug 1 php file am I presented with 6 different options? And of course, nothing tells me what each one does.. so I end up guessing. 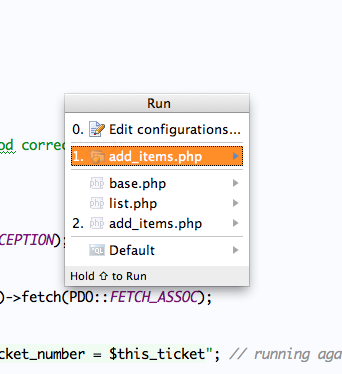 If you look at the picture, it's obvious I want to debug "add_items.php". But there are 2 choices? What does each one do? Look at the icons. They correspond the temprorary run configuration that was created. And other (non-numbered) files - its the previous temp run configurations. Usually its up to 5 of them. Just pres 0 to grasp the concept. Ok thanks. But why show 5 at all? Why not just 2 options; "Debug this page", or "Debug the project"? Well I just downloaded the latest build. And of course I can't debug at all. Just reports "disconnected". Even though I have the xdebug extension setup in Safari and it worked in prior builds (and in netbeans). So I think I'm just gonna stop trying and wait until the official release of 2.0. By the way, I removed Firefox from my system. 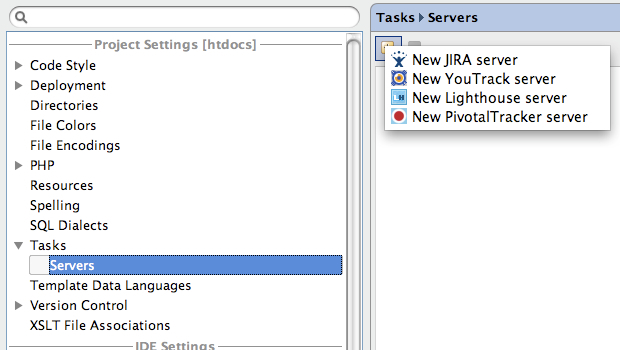 Cause I was tired of PHPStorm launching it every time to debug. In build 114 is worked wonderfully with Safari. The last 2 builds have insisted on Firefox. I'm on Mac, so maybe that has something to do with it. Just giving you guys a heads up. Please look at that. 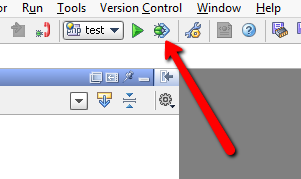 Probably you can lost your path mappings configuration after configuration file changes in the latest EAP. Please check your path mappings settings. We didn't change anything in this area since 114. Please leave screenshot of you 'Web Browsers' settings('IDE Settings' -> 'Web Browsers'). Also please report a bug to our issue tracker - http://youtrack.jetbrains.net/issues. Ok I manged to get the debugging working again You were right, sort of. It was the pathing I think. 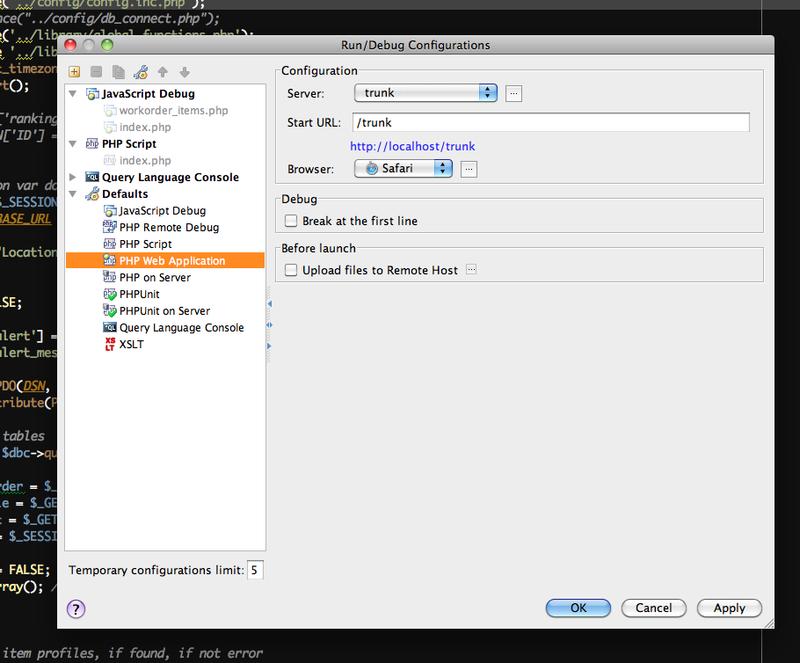 Since EAP 103.43 debugger will break on the first line if path mapping is not specified for the script. I hope it will help to detect problems related to path mappings.